We all know that breakfast is very important for ourselves. But the morning rush will get in the way of eating a nutritious breakfast. Fortunately, quick and easy breakfast smoothies are available at your disposal to help solve this problem. But before we get to my pick of the easiest and quickest breakfast smoothies, let’s find out why breakfast is so important for our body until it’s called “The Most Important Meal In A Day”. 5- Breakfast is very important for our kids. With their small body, the amount of energy they can store is very little. Skipping breakfast can be very hard on them as they do not have the energy to concentrate at school and do activities. 6- Make you feel good. Nobody will be happy if they are hungry in the morning right? Pancake with syrup. Really delicious but is it the perfect choice for your breakfast? The key here is to take a breakfast that is full of nutrition and vitamins. 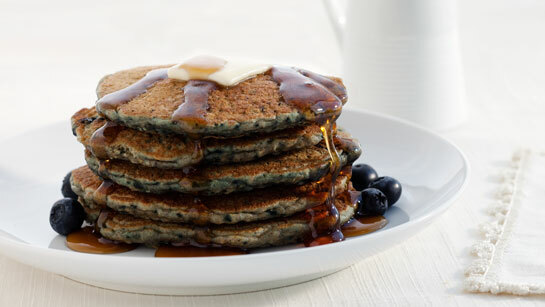 Skip the pastry, breakfast cereals, or that fluffy buttermilk pancake with maple syrup and berries. Those things are totally delicious all right, but unfortunately are full of sugar. Sugar are simple carbohydrates that is easily absorbed by our body. The problem lies with the blood sugar and insulin spike thereafter. If you eat these things for your breakfast, you will be energetic shortly afterwards due to the sugar spike. But after a few hours, the spike will crash leaving you totally wasted, fatigue and sleepy. A well balanced diet with proper amount of complex carbohydrate, protein and fat is best for your breakfast. But these type of foods are quite hard to prepare. Morning rush will surely shot down any idea of making that nutritious poached eggs with vegetables and flatbread. An increasingly popular alternative is a healthy breakfast smoothie. 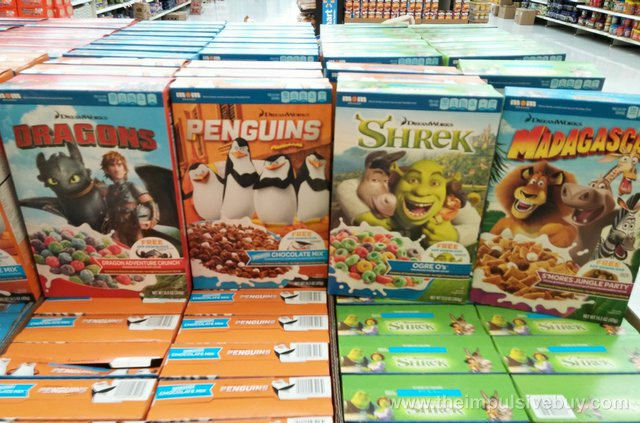 Despite what the commercials might tell you, sugar laden breakfast cereals are really bad for you and especially your kids. Smoothies are much healthier than a typical breakfast cereal. You will get lots of vitamins, minerals and fiber in your fruit and vegetable smoothie. It will give you that energy boost really needed in the morning. And because of the ample fiber, there will be no huge spike in your blood sugar. Besides, only your blender is needed to make it. Once you’ve finished, there are only the blender and glasses that need to be washed, reducing your work. To take it one step further, use a personal blender (something like the Nutribullet Rx or the Nutri Ninja Blender Duo). Put your ingredients into it, blend, and simply take the personal pitcher with you to the office. You can also sip your healthy breakfast smoothie along the road. You will never need to miss your breakfast anymore. 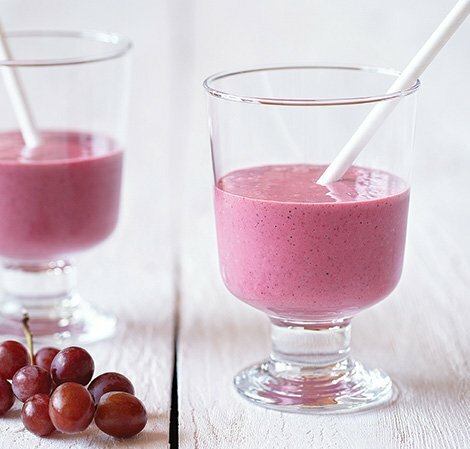 I’ve compiled some quick and easy breakfast smoothie recipes that are very suitable for a hectic lifestyle. These recipes has lots of fruits and vegetables that will give you the energy, vitamins and minerals your body crave early in the morning. These recipes also only contain easy to prepare ingredients (berries, banana etc.) to reduce your efforts in the morning. Fruits like oranges and mango are very delicious but nobody got the time to peel off those fruits in the morning right? A three ingredients smoothie. Totally easy to make and delicious as well. Put all the ingredients into a blender and blend into smooth. Add some ice cubes to make it cold. You can also freeze the fruits beforehand too. Kale is an undisputed nutrition powerhouse. It’s very healthy and contains lots of nutrition that we need. Banana and strawberries will add up to the nutrition content of this smoothie while covering the vegetable’s somewhat bitterness giving the smoothie a sweet fruity taste. Smoothies created by combining strawberries, raspberries and blueberries giving you an antioxidant smoothie to combat ageing and diseases. Very easy to make as well as very delicious. Quite a bit of ingredients there, but all of those are easy to prepare. Just wash the fruits, and put all the ingredients into a blender and blend into smooth. Add some ice cubes to make it cold. You can also freeze the fruits beforehand too. What do you get from a combination of spinach, apple and lime? Lots of vitamins, phytonutrients and antioxidants! An apple a day will keep the doctor away right? This smoothie will provide you with that apple a day! Put the ingredients into a blender and blend until smooth. Use ice to make it colder. Another important part in making a delicious smoothie is the blender. A good high powered blender will be the difference between a lumped of chopped fruits and vegetables to that delectable silky smoothie that everyone loves. Check out my posts blender reviews (you can access those from the menu bar at the top) for the best blenders. Some of the best high quality blenders that you definitely should check out are the Vitamix Professional Series 750 (countertop blender), Nutribullet Pro 900 or Nutribullet Rx (personal blenders) and Nutri Ninja Blender Duo (best of both worlds with normal countertop and personal blender functions). Hope you guys learnt something useful from this post. Try the recipes above and let me know what you guys think. Please put your comments and any recipes suggestions down below at the comments section. Till next time. Cheers! Previous Post: Nutribullet Rx Review – The Best Personal Blender Ever?